Black and Decker Waffle Maker Reviews. Black and Decker WBM500 Belgian Waffle Maker. Makes 7.25" diameter Belgian waffles in 4 sections. Grids wipe clean quickly and easily with the nonstick coating. When the waffle maker is preheated a "ready light" will inform you, and also when the waffle is done cooking. Housing is chrome. Black synthetic handles that are stay cool. Unit stands upright for compact storage. 650 watts of heating power. Cord wraps around the hinge for storage. 1 year warranty against defects. Measures 13.1" x 10.2" x 4.6". Black & Decker G48TD Grill and Waffle Baker. This Black and Decker Waffle Maker is a 3-in-1 appliance. Can be used as a griddle, grill, and waffle iron. Features a chrome housing, stay cool black handles, upright storage, variable heat control, and nonstick cooking surfaces. G49TD 3-in-1 Black and Decker Waffle Maker with Grill & Griddle. 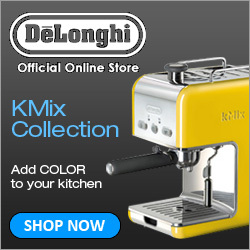 Features nonstick cooking surfaces, grills sandwichs, ready light when temperature reached, cool touch handles, ginged top, draining grease channels, spout, and capacity to make four square waffles in four sections. 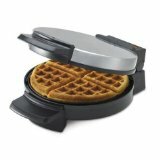 Black & Decker TMWB4BELW Belgian Waffle Baker. Black and Decker Waffle Maker TMWB4BELW features a white cool touch exterior, makes four family size waffles, non-stick surface on the waffle grates, dual ready lights, stand on end storage, and wrap around cord storage. Black and Decker WM1240MB Belgium Waffle Iron. WM1240MB Black and Decker waffle maker features extra-deep grids, nonstick waffle plates, divider that splits waffle into 4 sections, stores vertically, cord wrap storage, ready indicator light, power indicator light, and cool touch handles. Black & Decker WM1404S Flip Waffle Maker. Features include a cool touch handle, power indicator light, waffle ready indicator light, rotate and cook system, capacity to make 4 Belgian waffles at a time, and makes thick & fluffy waffles.